Las Palmas Deck features the enterance to the water slide. 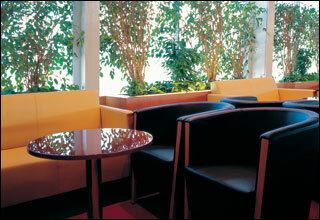 The Funchal Deck features Saturnia Spa, Solarium Bar, Squok Club, and a basketball/tennis court. 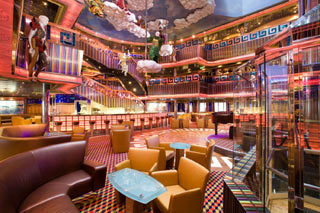 The Cannes Deck features staterooms in category EP, as well as Club Grand Conte, Venus Beauty Salon, and a jogging track. 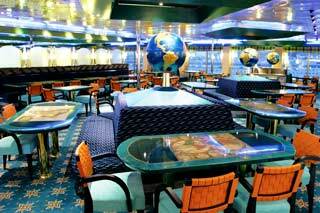 The Barcelona Deck features staterooms in categories BP, EP, and IP, as well as the upper level of Cristoforo Colombo Buffet, Solarium, and Barcelona Pool. 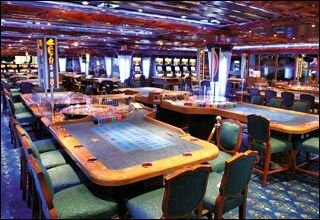 The Napoli Deck features staterooms in categories S, BP, EP, IP, and CI, as well as the lower level of Cristoforo Colombo Buffet, Colombo pool, and Oceania pool. 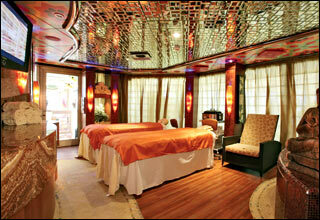 The Vigo Deck features staterooms in categories MS, BP, and IP. 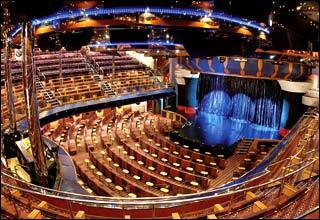 The Caracas Deck features staterooms in categories GS, S, MS, BP, EP, and IP. 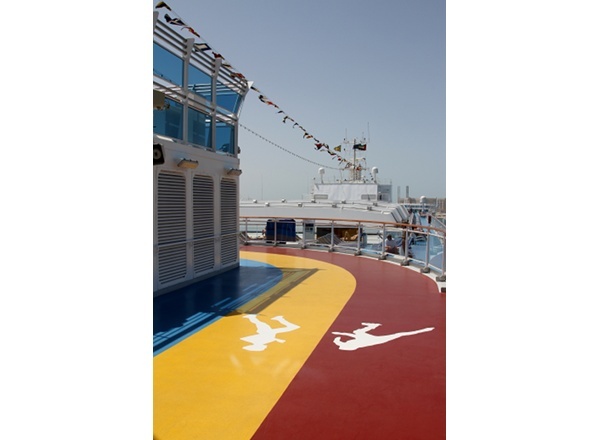 The Lisbona Deck features staterooms in categories MS, BP, BC, EP, IP, and CI. 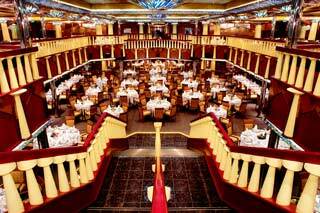 The Genova Deck features the top level of Rex Theater, Leonardo Da Vinci Lounge, Conte Verde Lounge, Conte Rosso Piano Bar, Neptunia Casino, Conte Di Savoia Grand Bar, Classico Roma Bar, Augustus Lounge, a card room, an arcade, Galleria D'Arte, and Galleria shops. 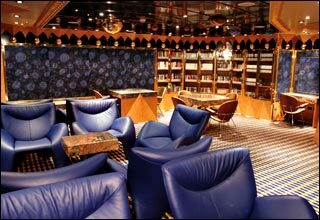 The Santos Deck features the middle level of Rex Theater, the upper level of Michelangelo Restaurant, Raffaello Restaurant, Vulcania Disco, Library Galileo Galilei, Internet Cafe, a photo area, and a chapel. 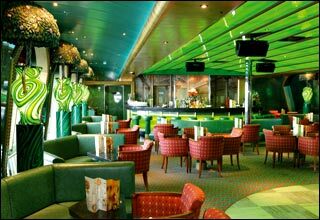 The Buenos Aires Deck features the lower levels of Rex Theater, Michelangelo Restaurant, and Raffaello Restaurant, as well as Costa Atrium/Bar. 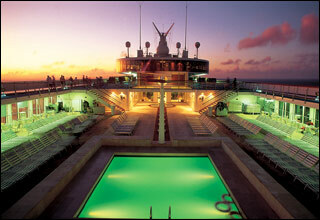 The Miami Deck features staterooms in categories EP, CE, IP, and IC. 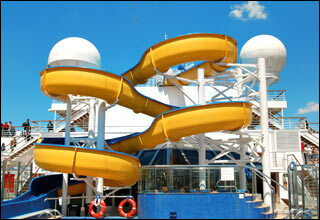 The Rio de Janeiro Deck features staterooms in categories EP, EC, CE, IC, and CI.